Kristyn Hogan is Director of Meraki's Americas Channel and Distribution Organization. Kristyn and her team are responsible for leading the partner go-to-market strategy and execution within the Americas. Kristyn works closely with Cisco's Americas Partner Organization (APO), Global Partner Organization (GPO), business entities, and sales teams to accelerate partner adoption of Meraki solutions, with a focus on delivering creative enablement, large scale demand generation offers, and rich partner profitability to drive growth across Meraki's $1.4B+ business. 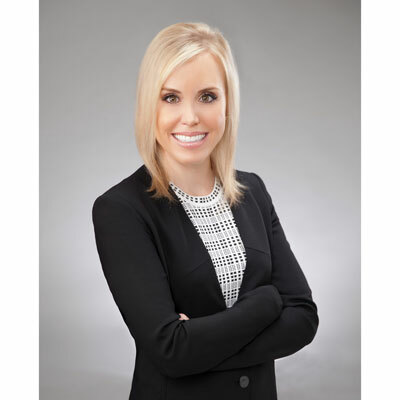 Prior to her role with Cisco Meraki, Kristyn led Collaboration partner sales within Cisco's Americas Partner Organization. Kristyn has been recognized on CRN's Women of the Channel list for 2015, 2016, and 2017. She has a passion for developing Cisco's future leaders, personally mentoring many individuals. Kristyn is a member of Cisco Connected Women's Network, Women of Meraki, The Junior League of Houston, and The Children's Fund. In September 2017 I transitioned from leading the Americas Collaboration Channel for Cisco onto a new challenge at the helm of Americas Channel and Distribution for Cisco Meraki. The vision, incredible people, and partners in Cisco Collaboration are without a doubt the best in the industry and I am so proud of all the team accomplished. One of our greatest needle movers was evolving the Value Incentive Program (VIP) for partners selling Cisco recurring revenue solutions. We listened to partner feedback and built a predictable cross architecture incentive program that rewards partners for expanding their recurring revenue stream and is a key part of driving Cisco toward 40% in deferred revenue. As I've moved into leading the Cisco Meraki Channel, it's a great privilege to be a part of this remarkable growth engine and talented team. My first 6 months have been focused on continuing to build out the incredible Meraki channel team, crafting partner investments to accelerate the full Meraki stack and next generations partner services across all routes to market, and aligning strategies with the sales organization and the broader Cisco team to tighten partner relevancy and sponsorship. At Cisco Meraki, we believe that by simplifying powerful technology, we can free passionate people to focus on their mission and reach groups previously left in the darkness. I am humbled and excited to lead the amazing channel team at Meraki, who is responsible for translating Meraki's mission into partner growth, profitability, and success Our goals for FY18 1) Develop and expand Meraki partner practices 2) Grow Meraki market share through partners via new customer and partner acquisition and 3) Creatively execute our plan in alignment with the broader Cisco channel team to create a seamless and delightful partner experience. Honored to have been included in the 2015, 2016, and 2017 CRN Women of the Channel Lists. Additionally, in my community I was nominated and currently serving a 4 year term as member of The Children's Fund. The Children's Fund supports children's charities in Houston, TX. As of 2018, The Children's Fund has grown annual fund-raising from $4,000 to more than $700,000+ through the efforts of our volunteer members. While there is a long list of professionally and politically acclaimed women I admire immensely, I know with great certainty the success I've achieved in my career would not be possible without one woman behind the scenes named Imelda. How can I begin to describe this kind, feisty, intelligent, hardworking, angel of a woman who is always smiling, and loves and cares for my two young sons as if they were her own? The working mother paradox is real. I'm fortunate to know and admire this amazing lady who enables my dreams of career success and motherhood to coexist. "Don't always believe everything you think" for three reasons: 1) Life has unfolded in more magical and mysterious ways than I ever could have conjured up within the confines of my own thinking 2) I've learned that often my own thoughts can be the only / the biggest limitation to any goal I've sought to achieve 3) In both my personal and professional life I've learned that over time perspectives can change and it's important to give yourself the grace to change your thinking. As my channel roles have increased in responsibility and scope, as has the necessity to put an even greater focus on and mastery of financial acumen - income statements, balance sheets, and cash flows. At Cisco we have an extraordinarily dynamic CFO, Kelly Kramer, who has a remarkable way of both piquing my curiosity in this area along with breaking down could be complex concepts and tying them to sales/channels priorities. Further honing this skill is an area I now find exciting and a side benefit is increased relevancy with partner executives. Tools for Titans by Tim Ferriss. I am super inquisitive around the daily habits, routines, tips/tricks, and philosophies of successful leaders. This book serves up 100+ interviews from a wide variety of leaders in business, entertainment, sports, culture, and politics. The interview snippets offer unique insights into the behaviors that have contributed to their success. For the non-readers, this book also turned me onto an equally enthralling podcast, "The Tim Ferriss Show."